National Cleaning Suppliers Association: What a cracker Cleanscene! For all those who visited the Exhibition in September, the number of new products and advances in technology was a revelation since the last Cleanscene in Sydney in 2012. Over 3 days, over 1000 Industry professionals saw everything from hyperspeed heating extraction machines…to 2600 rpm spin mops…to a range of organic, 100% environmentally cleaning products…to disposable microfibre cloths! "The quality of the Exhibitors and Visitors was impressive. A diverse cross section of managers, owners and consultants came to the event. Exhibitors also enjoyed significant bonus flow-ons from the co-located Safety Show in the same exhibition hall. The total number and quality of the Visitor base also was a very pleasant surprise as numbers for both Cleanscene and the Safety Show combined was well in excess of 4000. From the feedback I had at a personal level while at the Show with the majority of the Exhibitors, they all felt that they would do significant business as a consequence of attending. In the end, that's what Cleanscene and indeed NCSA is all about – supporting our Members to grow their businesses. 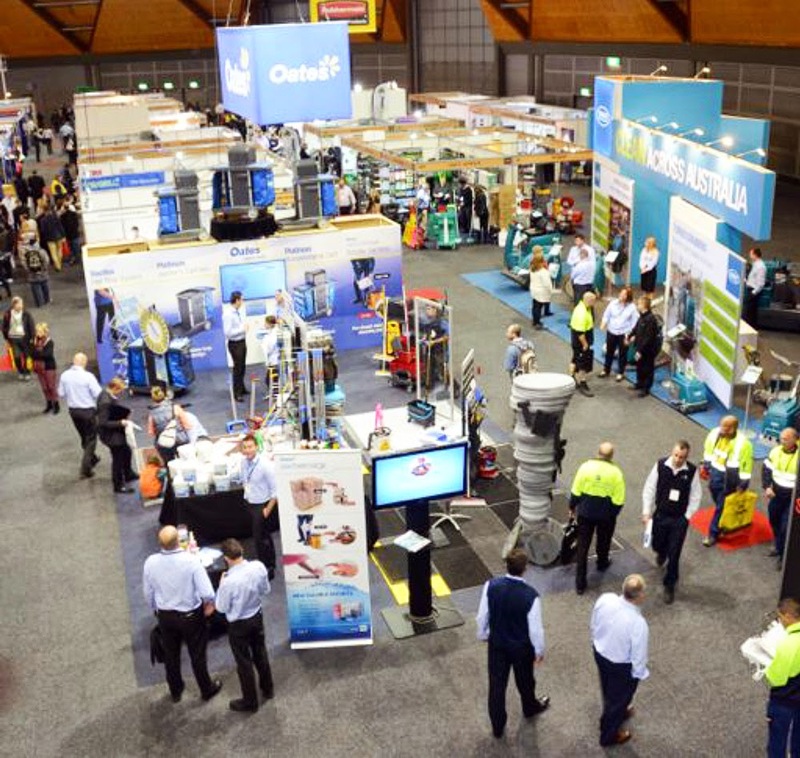 Cleanscene 2014 has certainly proved itself to be the premier cleaning industry event...and a powerful sales-building machine! The evidence is that we already have advance bookings for next year and expect several more as the new 2015 Floor Plan has just been released. We're now taking preliminary expressions of interest from this year's Exhibitors who will be given priority access to signing up for 2015 in September in Melbourne. "We exhibit at Cleanscene every year. We always launch our new products here. It a great medium for us to do that!" "We've always exhibited at Cleanscene. It’s a fantastic place to gain new leads, followup with Customers and make our name known"
"Staples sees the Cleaning Industry as a major growth area. (By being here) we are supporting the growth of the Industry." "(We're here) ..because we get a broad group of Clients coming through – contractors, hospitals, local government…and a broad spectrum of people who flow in from the Safety (Show) side"
"I'm here to meet (prospective) Customers who are interested in 'training'. I'm at Cleanscene because I want to be where they are!"